Airbus says it sold more than 1,100 planes last year, outselling rival Boeing thanks to a raft of end-of-year deals and a growing global economy and travel demand. Bregier acknowledged "challenges" ahead but called them "manageable." 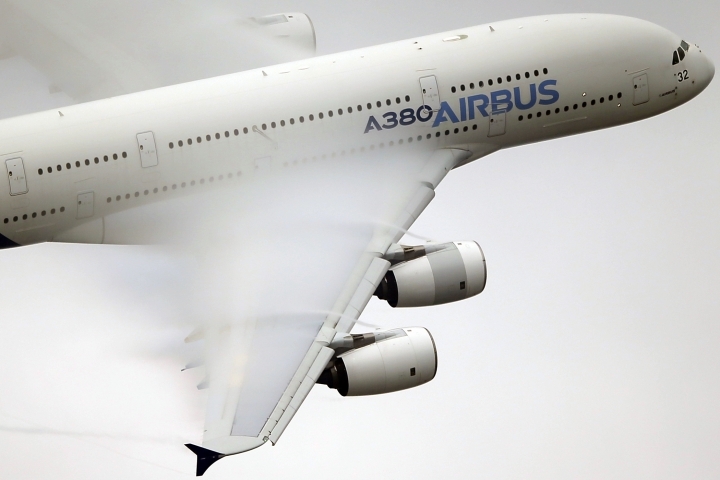 Airbus is facing multiple corruption investigations, notably in Britain, France and Austria. And its chief salesman said Monday that Airbus will abandon its high-profile superjumbo A380 if it can't strike a long-term deal for the plane with airline Emirates. Airbus says it will stop making its costly A380 superjumbo if it can't strike a long-term deal with the airline Emirates for a steady supply of the planes. Airbus chief salesman John Leahy told reporters Monday that "if we can't work out a deal with Emirates, there is no choice but to shut down the program." He said the airline is "the only one who has the ability" to commit to a minimum of six planes a year for a minimum of eight to 10 years, which Airbus needs to make the program viable. The double-decker A380 drew worldwide attention when launched a decade ago but has long met questions as to whether it could generate enough demand. The announcement came as Airbus announced it sold 1,109 planes year, outstripping rival Boeing thanks to a raft of end-of-year deals.